Freedom of expression includes any activity that conveys or attempts to convey a meaning but does not include violence or the threat of violence or hate speech. Restrictions on freedom of expression can only be justified if they constitute a limit that is reasonable in a free and democratic society such as Canada. Expression that others find repugnant or offensive will not for that reason alone be unacceptable. OCAD University is concerned, however, with expression that causes discrimination or other harmful effects. Freedom of expression applies to all members of the University community, including faculty, students, staff, management and guests. The University’s existing legislation and policies illustrate an appropriate application of these principles. It mandates action by the University community that is consistent with the Ontario Human Rights Code. It acknowledges that the University has a commitment “to academic freedom and freedom of thought, inquiry and expression which may result in respectful disagreements regarding beliefs and principles; and it cannot condone behaviour that is likely to undermine the dignity, self-esteem or productivity of any of its members…. Violation of this policy thus is governed by the Non-Academic Misconduct Policy, June 1, 2009. Students are subject to prosecution under that Policy. Faculty complaints will be dealt with in accordance with theMemorandum of Agreement 2016-2020, Article 5 and Appendix A: Association of University and Colleges of Canada Statement on Academic Freedom and Institutional Autonomy. Any allegation against the University itself will be dealt with in writing by the President of the University or the President’s delegate. Any unresolved complaint may be referred to the Ontario Ombudsman. Universities are places for open discussion and free inquiry, and that is especially true of a university dedicated to art and design. Thus, members of the University community may debate and contest different views, but they may not obstruct or interfere with the freedom of expression of others. 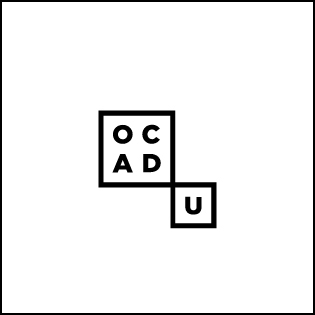 OCAD University is committed to protecting freedom of expression for all its members and guests. The University provides services and facilities and thus is bound by the Ontario Human Rights Code, and the Criminal Code of Canada, particularly s319. We recognize that both the Ontario Human Rights Code and the Criminal Code of Canada do impose limits on expression and that our responsibility extends to ensuring compliance with this legislation.